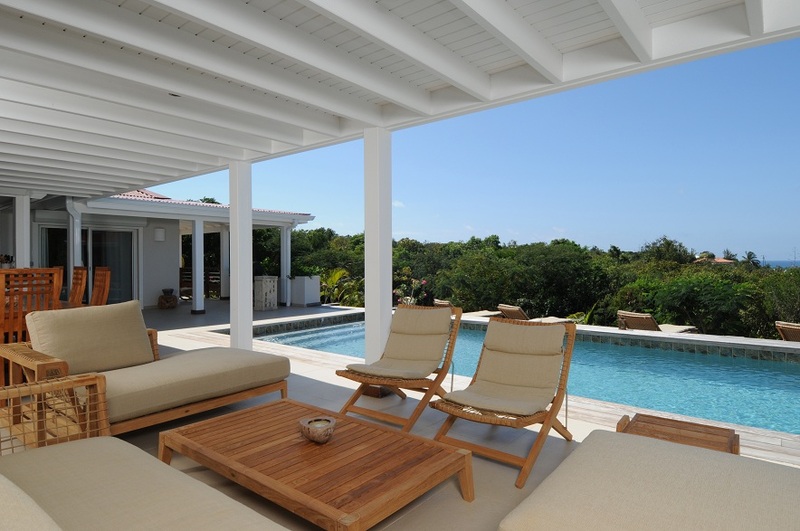 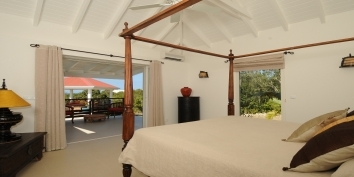 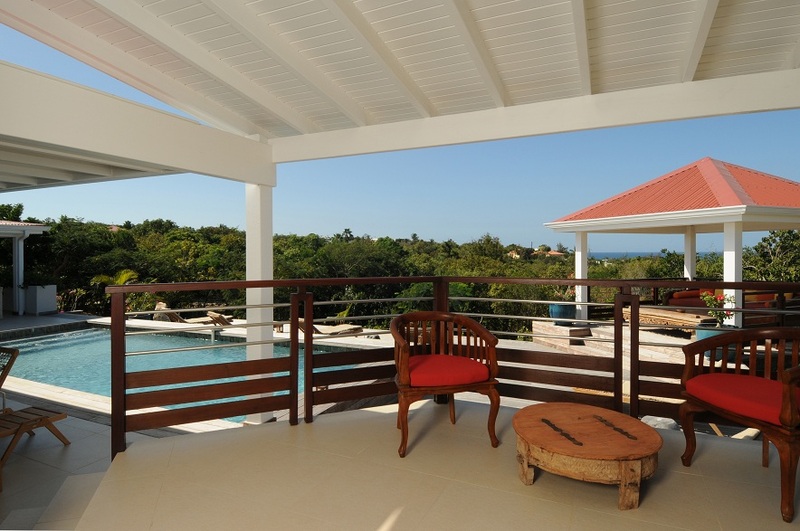 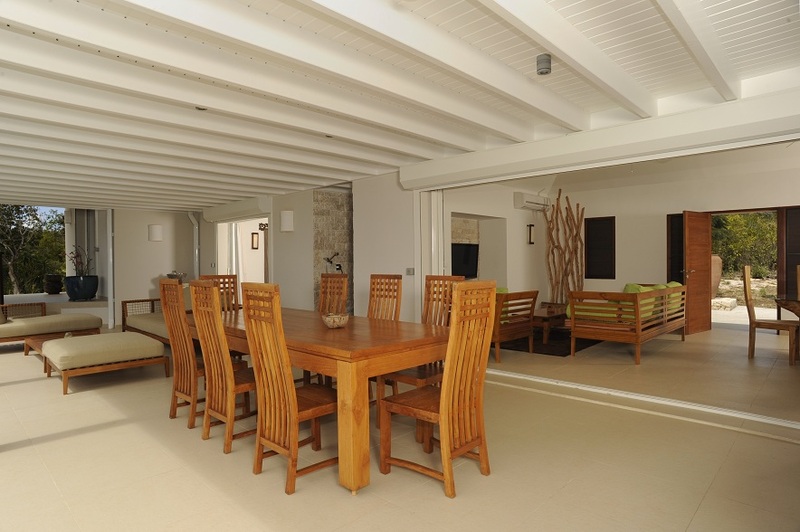 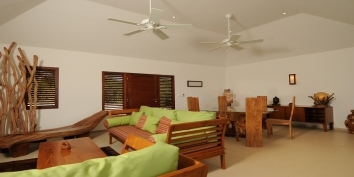 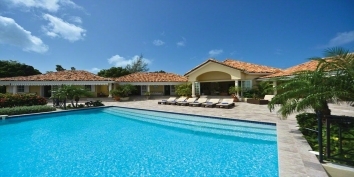 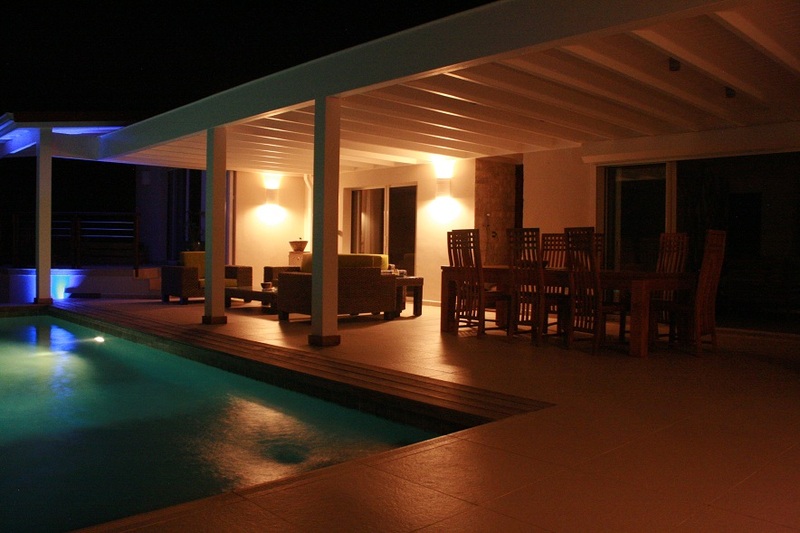 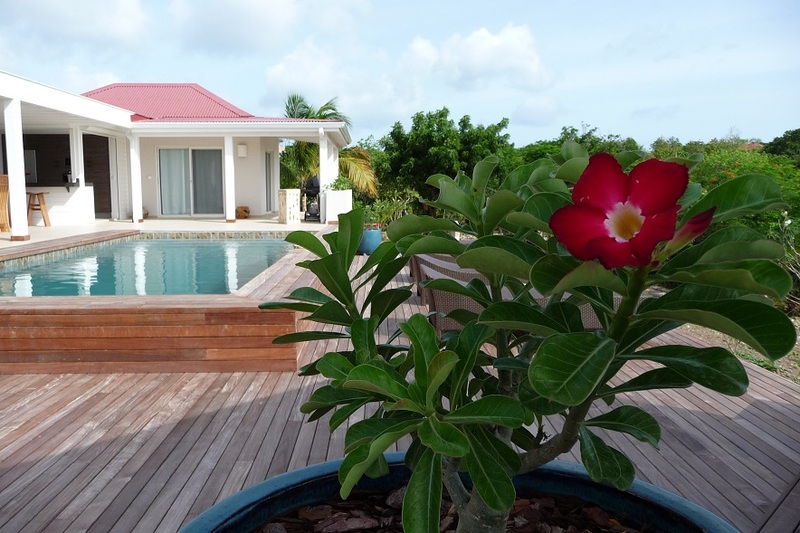 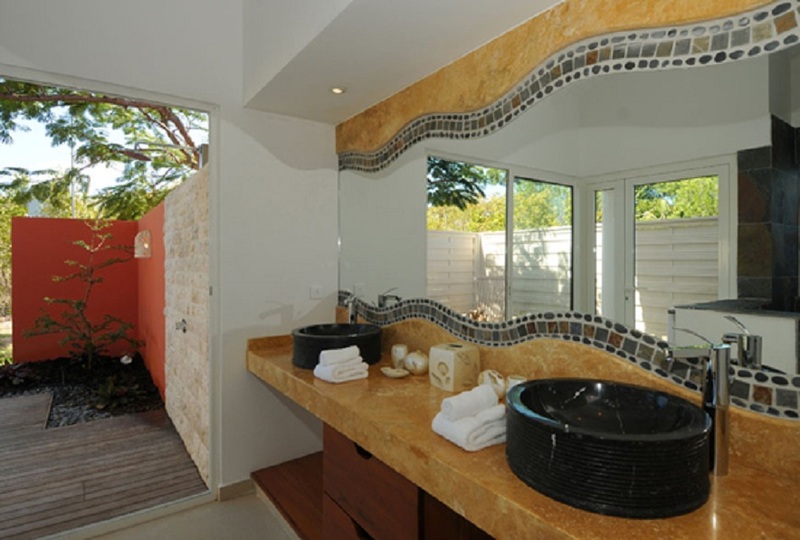 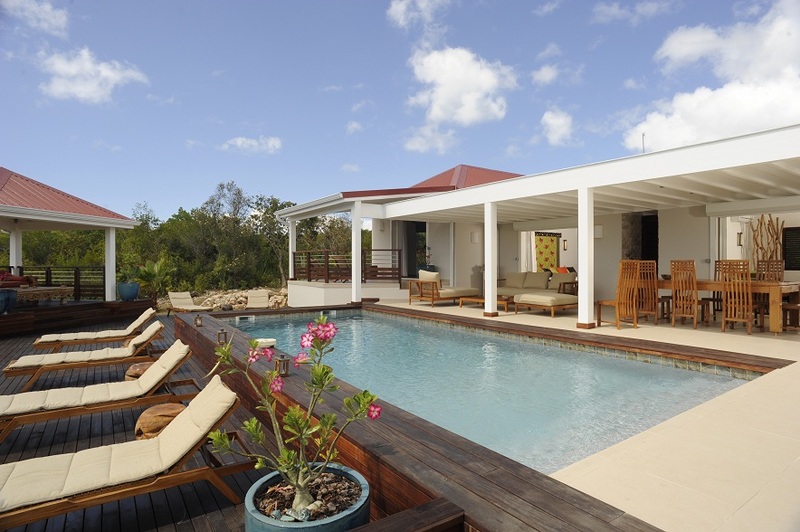 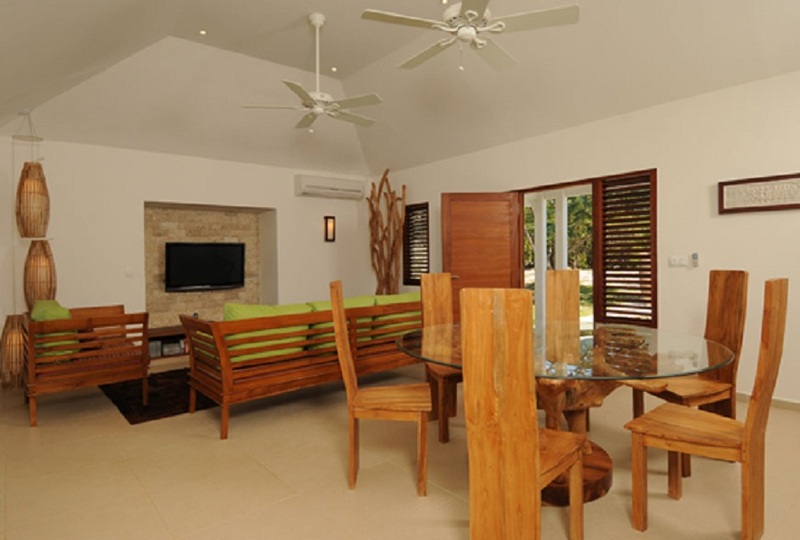 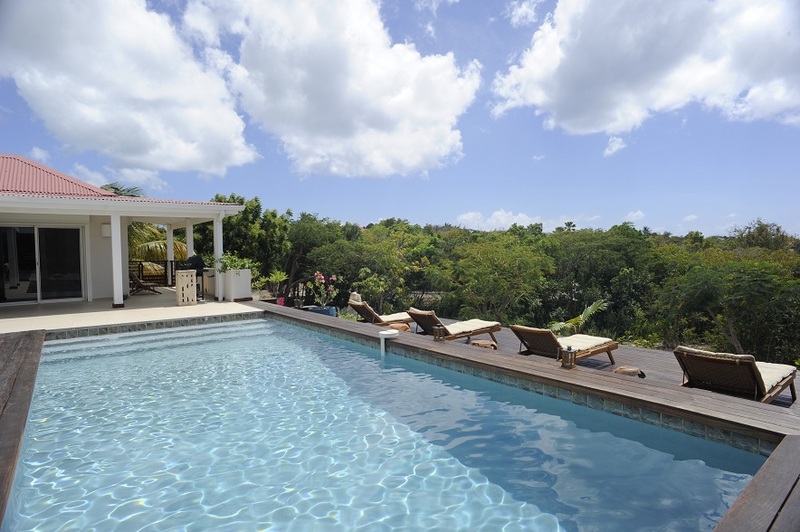 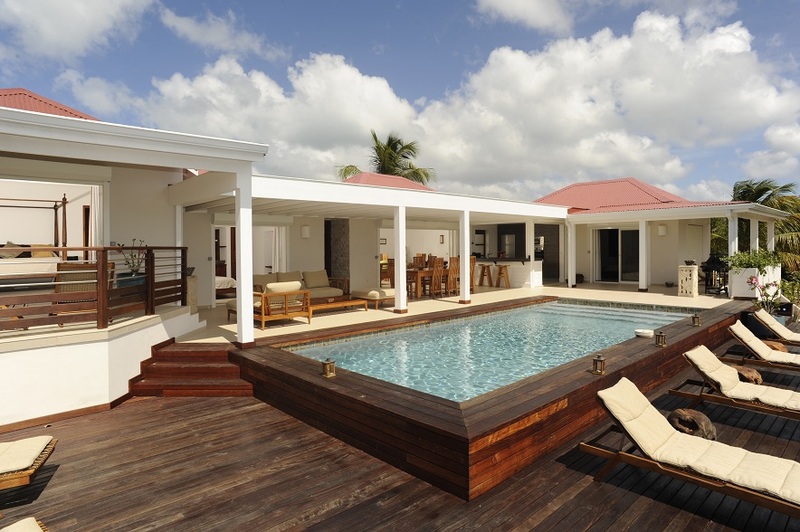 A spacious and elegant 3 bedroom, 3 bathroom villa with private swimming pool overlooking the Caribbean Sea! 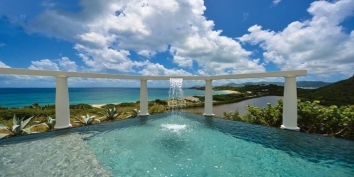 You will enjoy a large private swimming pool perfect to swim or just sit in the full length stairs while sipping a cocktail. 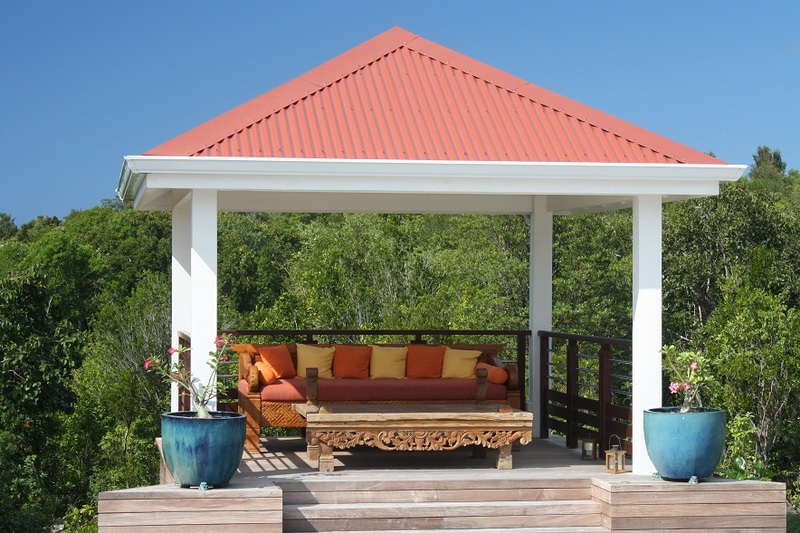 You can also sunbathe on one of the many lounge chairs or stay in the shade under the covered terrace. 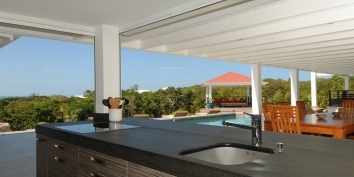 La Bali also features a gorgeous outdoor kitchen. 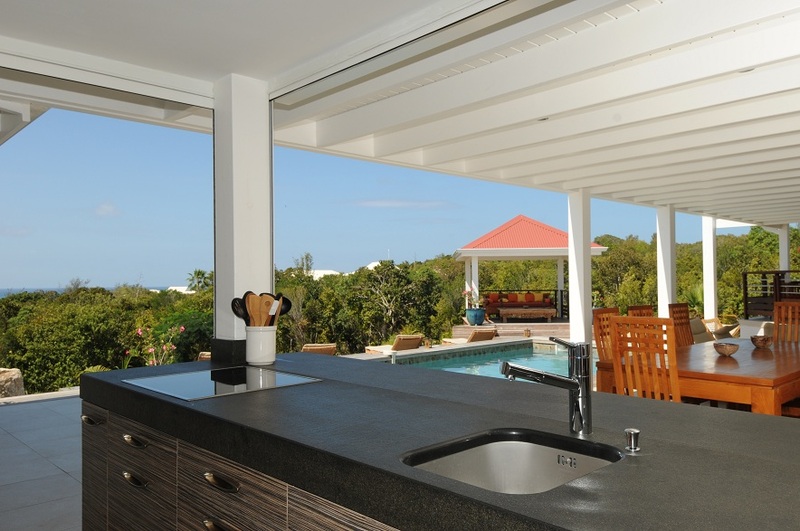 Cook while your friends/family lounge on the terrace. 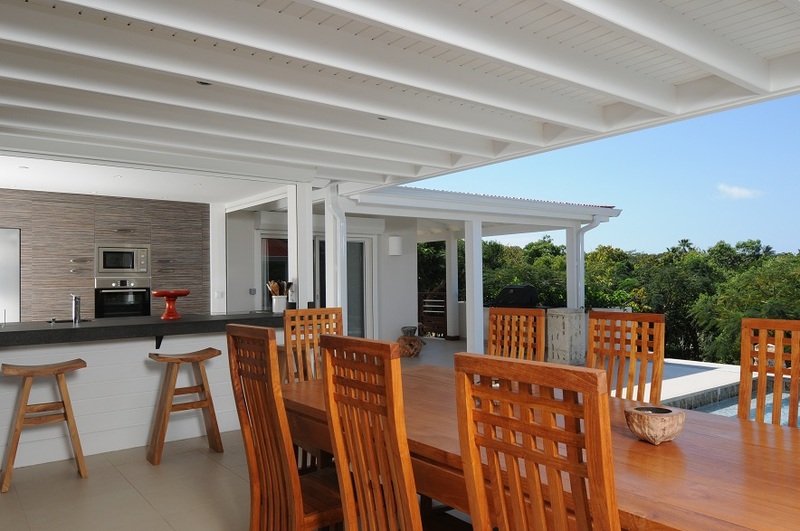 A gas BBQ is also available. 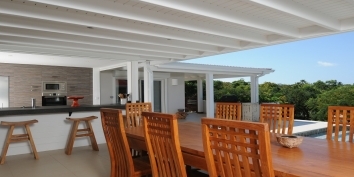 Dine al fresco using the long dining table seating up to 10 people. 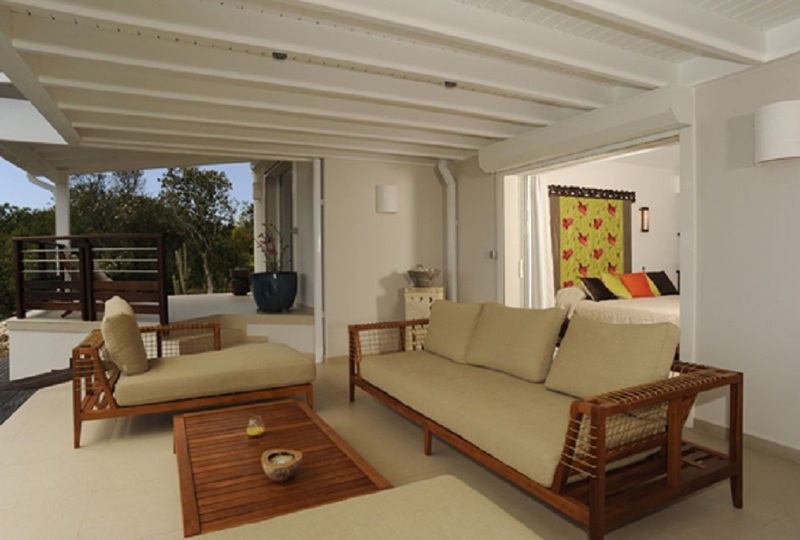 The daybed under the pergola is perfect to read a book, take a nap or just relax while enjoying the outdoors during your Saint Martin vacation. 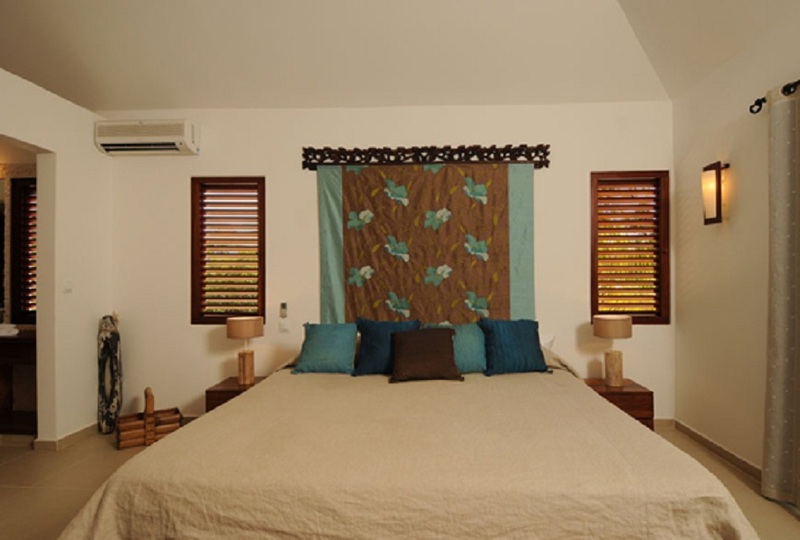 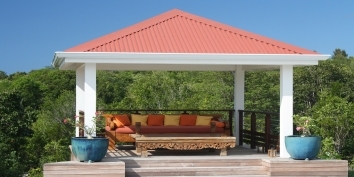 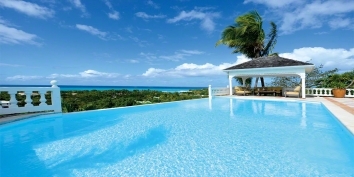 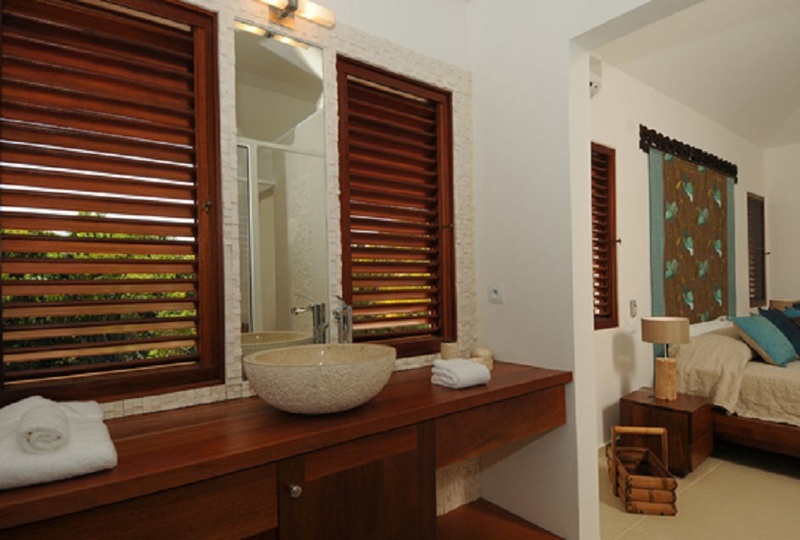 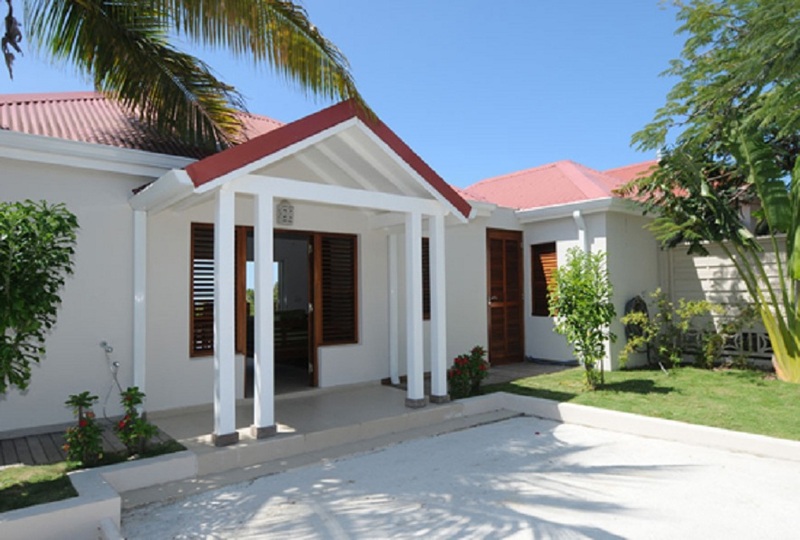 La Bali can be rented as a 1-2 or 3 bedroom St. Martin villa rental! 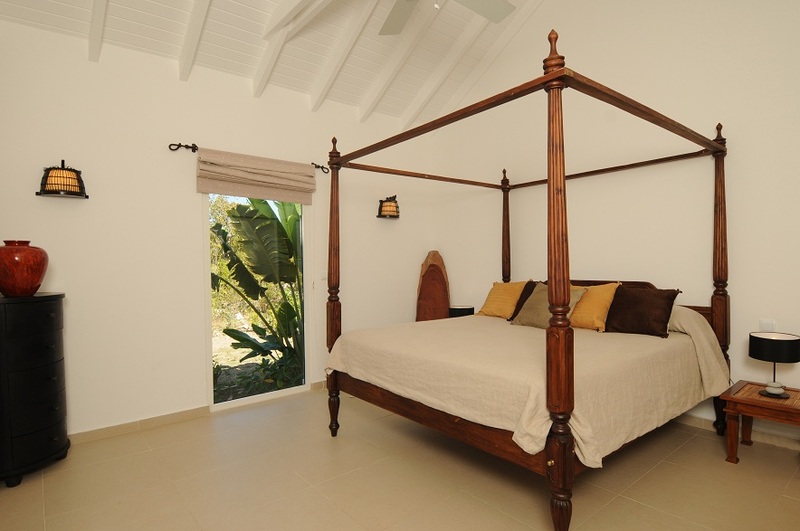 All three air-conditioned bedrooms have a King size bed and a complete en-suite bathroom. 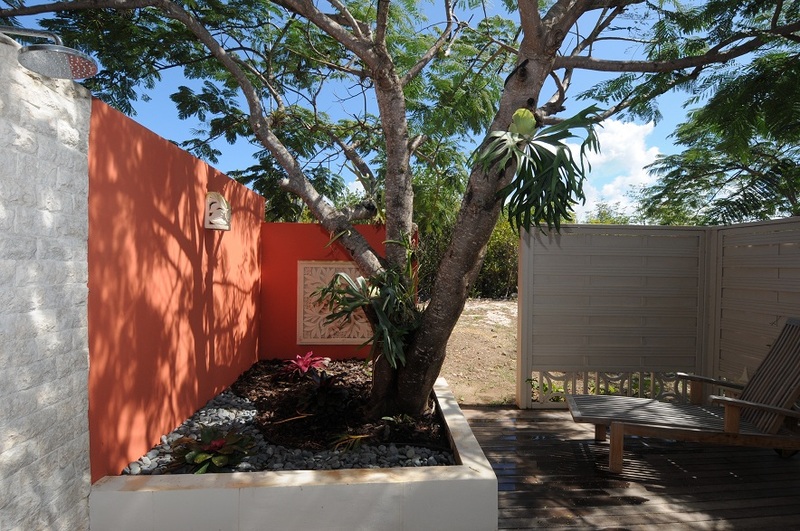 Two bedrooms also feature a private garden area with an outdoor shower. 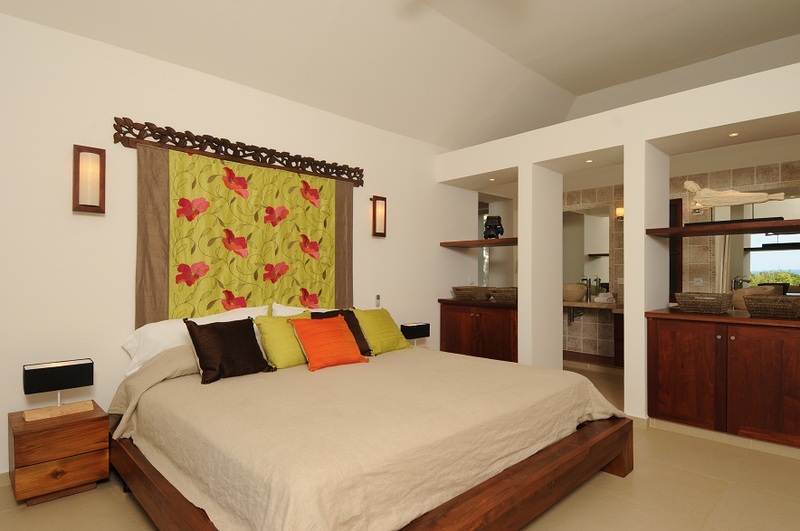 Each spacious bedroom has plenty of room to put away your clothes and personal items so you will feel right at home. You will find a wide screen TV and DVD in each bedroom. 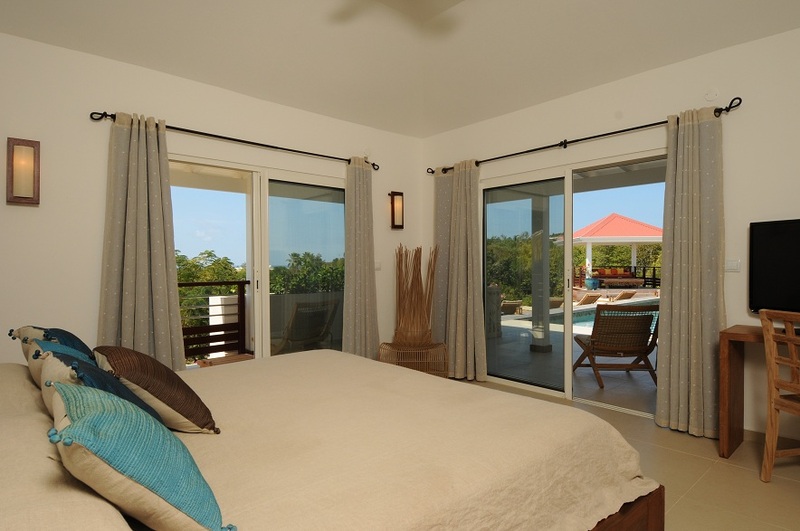 In addition to give you a beautiful view, the sliding doors of the bedrooms give you access to the terrace and the pool just a few steps away. 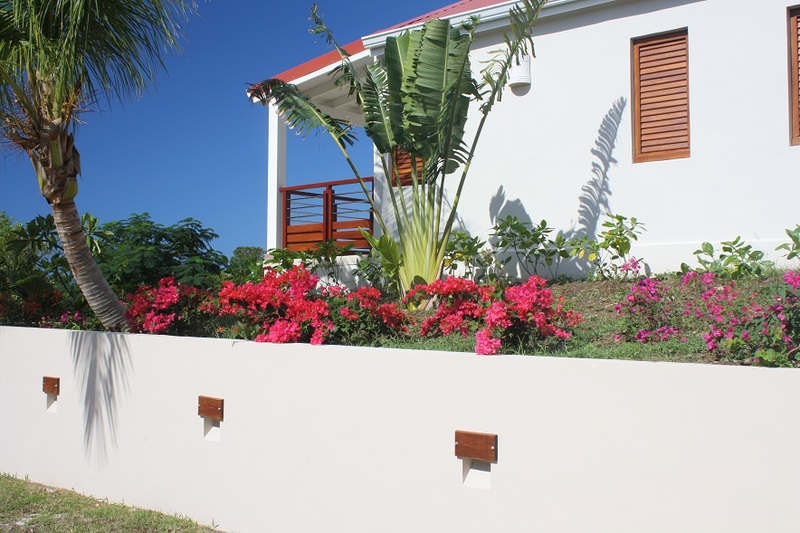 Can be rented as a 1-2 or 3 bedroom Saint Martin villa rental! The air-conditioned living room and indoor dining area are decorated in a Balinese style, a fusion of Asia and modern styles. 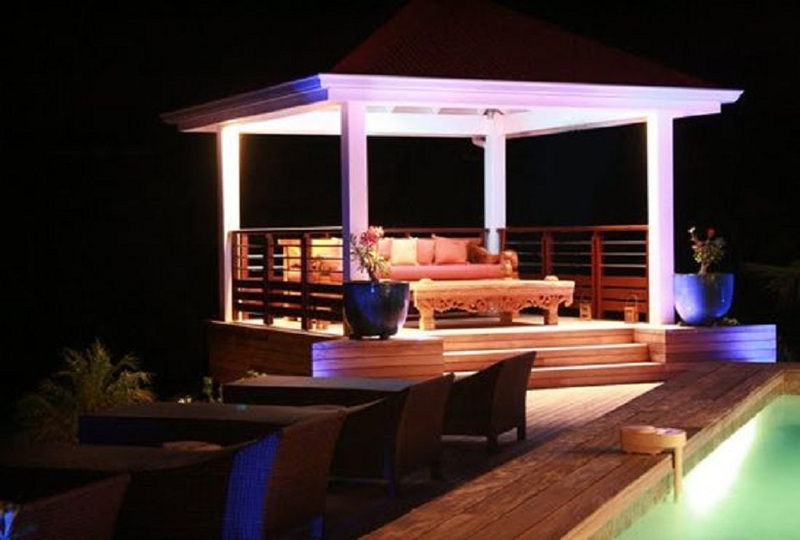 You can stay in touch with your friends/family by using the Wi-Fi Internet access. 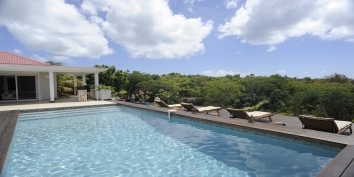 A wide screen TV with Satellite and DVD and a choice of movies can entertain you should you become tired of enjoying the sun and pool. 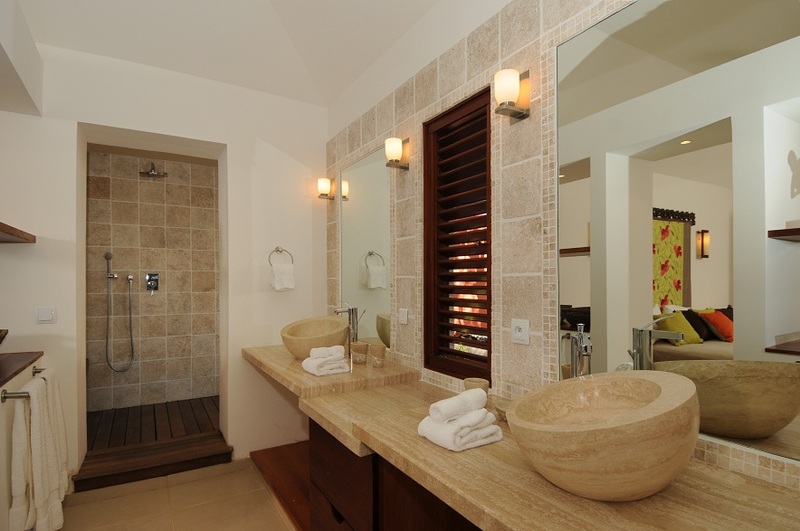 Three complete en-suite bathroom. 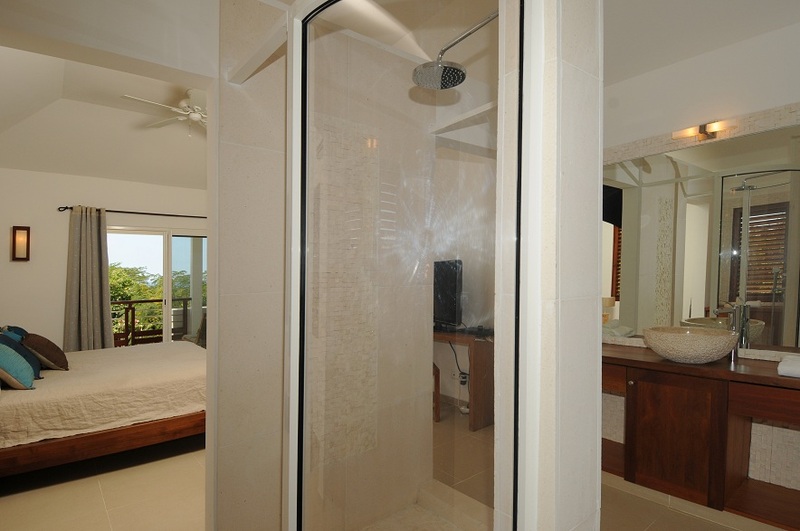 Two bedrooms also feature a private garden area with an outdoor shower.